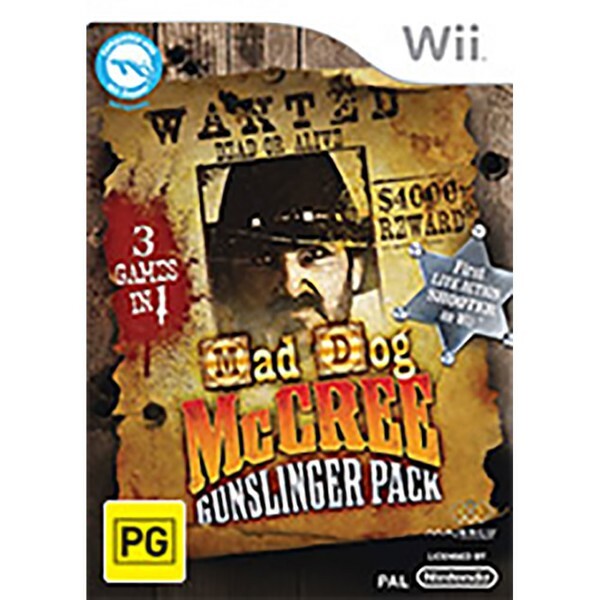 Players use their Wii Remote or Wii Zapper accessory as the ultimate six shooter in this Wild West adventure featuring live actors. 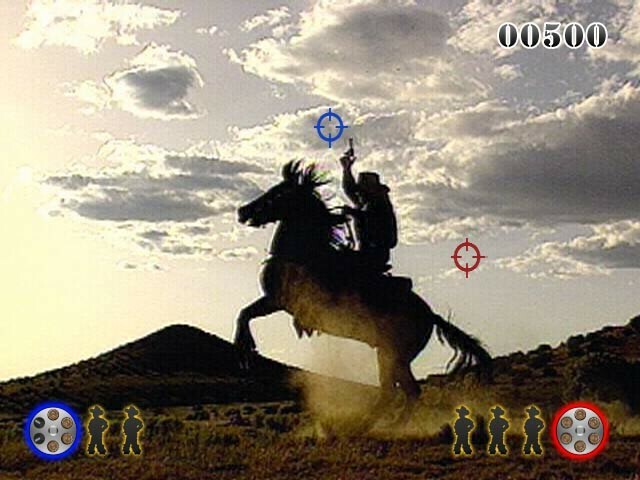 In Posse Mode, players work together with up to three friends in pursuit of a combined high score, while in Rebel Mode they work independently with up to four bounty hunters for individual high scores. 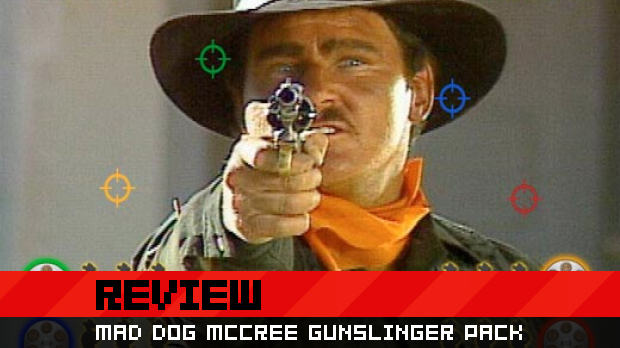 Fast reflexes and precision shooting are the keys to survival when outlaws ambush from every angle and nail-biting showdowns are only a bullet away. . 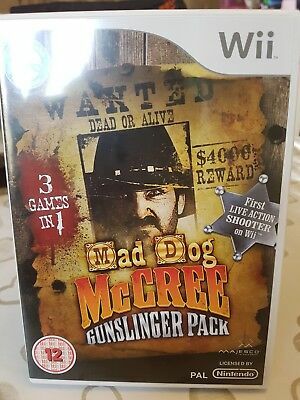 Whether sharpshooting solo or with a posse, the Mad Dog McCree Gunslinger Pack lets players deliver their own brand of Wild West justice and walk away with their gun smokin'! 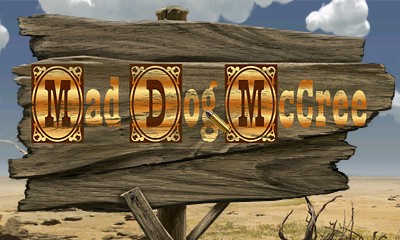 As they pursue Mad Dog and four other wanted fugitives, players can choose from three different difficulty levels to hunt them alone or join forces with others in two multiplayer modes - Posse and Rebel. . .